If there is one thing about Southern California everyone can agree on is that we love our weather. Our year round access to vitamin D, Instagramable sunsets and comfortable temperatures confirm that life as a Southern Californian is truly unique - and not something to be taken for granted. 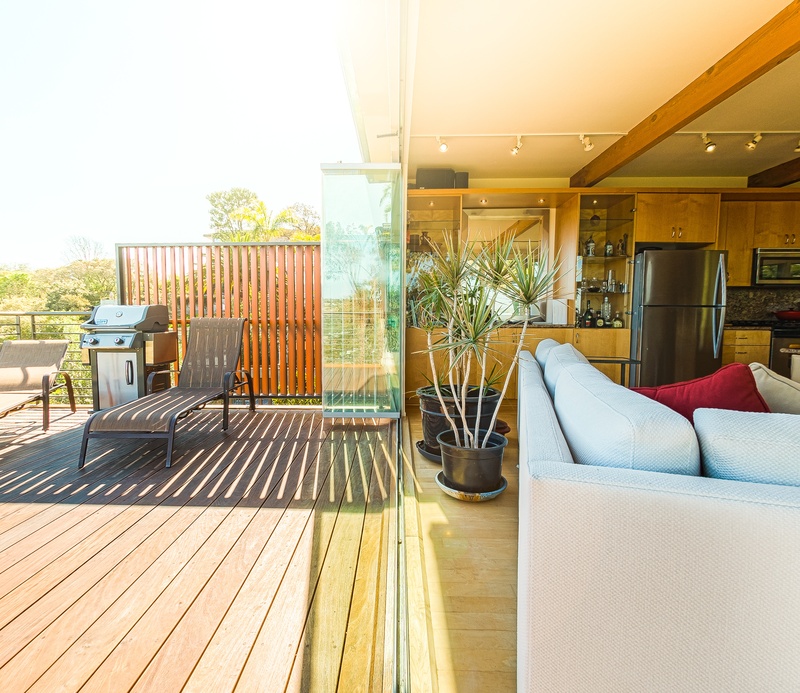 Improving your home's outdoor living design and space is one of the best ways to ensure you're soaking in as much beauty and sunshine as possible. By blending the inside and outside of your home, you create a true outdoor living design experience for you and your guests. Depending on the outdoor space available, you can opt for a small patio or create a dedicated space, much like you do inside the house. The objective is to make the design of your outdoor living space just as comfortable as the interior of your home. Taking the natural landscape in consideration, start with a paved patio close to the house and move towards the edges of the backyard. Design a lighting plan with brighter lights where people will dine and low voltage along walkways or flower beds. Although Southern California is not known for its harsh weather conditions, that does not mean any type of furniture can endure the elements. 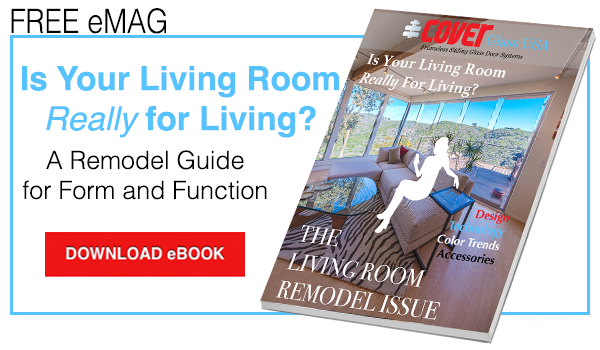 This is a tricky hurdle for homeowners attempting to move the indoors outside because the outdoor living space should feel as an extension of a home’s interior. A vertical garden along the outskirts of an outdoor dining area is a unique and viable solution to incorporate privacy, lush landscape and a modern feel to your home. Not only is it edible and cost effective, is also a conversation starter and a great way to maximize the productivity of your home. Don’t underestimate the value of shade to not only protect you and guests, but also your home. An outdoor living space with the added benefit of shade will extend time of use and the durability of your home furnishing. A lounge and dining area with chic, contemporary canvas shades are great for protecting you from UV radiation, while not obstructing your view or reducing space. Lounge out in style with a daybed for light afternoon reading or enjoying a glass of win. Set an enchanting scene with potted, quick growing Wisteria along a pergola. Invest in a time-tested patio umbrella. Don’t underestimate the power of your creativity. No one knows your home better than you, so use your insight to create the most relaxing, sun protected outdoor experience. Your outdoor living space should not be treated differently than the rest of your home. Consider your needs, your space, your guests and your wishes. Depending on how often you entertain, or how much you enjoy to relax, think of your options. Your outdoor living design will naturally reflect your interior decor, according to your taste. To really make the most of it, decorate with purpose. Let your imagination talk and do as you please. A swinging bench can convince you to take a minute of rest; a hammock can invite you to a well deserved nap; a frameless glass patio door can entice you to step outside. When you conceive your outdoor living space, make sure the access for the house is practical and inviting. The interior layout will greatly define what is possible, but if you need to take too many steps and turns to get outside, you will likely enjoy it less. Should you connect through the kitchen so dining al fresco is more practical? From the living room so you can go from sofa to pool in a few seconds? Both? You will have to decide with patio door is right for you. Swing, slide, French? Then again, if you are spending so much effort on designing an outdoor living space that is inviting and looks great (and if you have an amazing view), you will want to consider opening up a wall entirely and create the most seamless of transitions. In this case, frameless sliding glass doors gives you the best of all worlds, open, closed or partially closed as you please, while still able to take in that amazing backyard of yours.